Laminated flooring's popularity is attributed to the extensive array of available design options, and relatively low cost compared to solid wood or stone flooring. Retail flooring stores can testify to this popularity of laminate. Visiting a retail flooring store will show choices that is are diverse as they are large. There is surprise when one learns the pattern seen on laminate flooring is not real wood, stone or ceramic. Using a system pioneered some 20 years ago by Pergo, photos are taken of attractive and characteristic sections of material to be represented. These are then applied to floor planks and tiles. 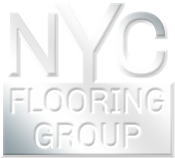 The originating company, in early years, was so dominant that laminate flooring had become known as "Pergo flooring" despite the fact that other manufacturers produce it as well. In making production quick and easy, using a depiction in place of the real thing is a boon to manufacturers. In turn this helps to bring the finished laminate flooring to the market at very affordable prices. Being laminate flooring isn't real oak, teak, maple, stone, granite, etc., less hardwood trees are being felled, no hillsides quarried to supply the raw materials needed to flooring manufacturers. Those who buy laminate flooring, instead of solid hardwood or stone floors, are unknowingly also helping to save the environment from destruction. Other benefits and features attracting homeowners to laminated flooring includes easy installation. There have been, in the laminate flooring market, numerous advancements made with tongue and groove type fastenings that make installing laminate floors an easy and simple task. From click lock to snap together joints, these systems do away with messy glues and are perfect for the do-it-yourselfers. Laminate floors can be installed over any type of sub floor, including tiles and concrete. Laminate floor tiles and planks are coated with heavy duty, hard-wearing aluminum oxide finish, protecting the underlying pattern from damage. The floor is then able to withstand high foot traffic levels without wearing through. The owner is provided with many years of use without worry of costly maintenance. Laminate can be considered "maintenance free" flooring. Most manufacturers back up their laminate products with lengthy warranty which sometimes extends to lifetime. Floor buyers are advised to check the terms of any warranties carefully to ascertain what is or isn't covered. It should be expected that laminate floors have a warranty period of no less than 15 years covering premature wear, staining, fading.